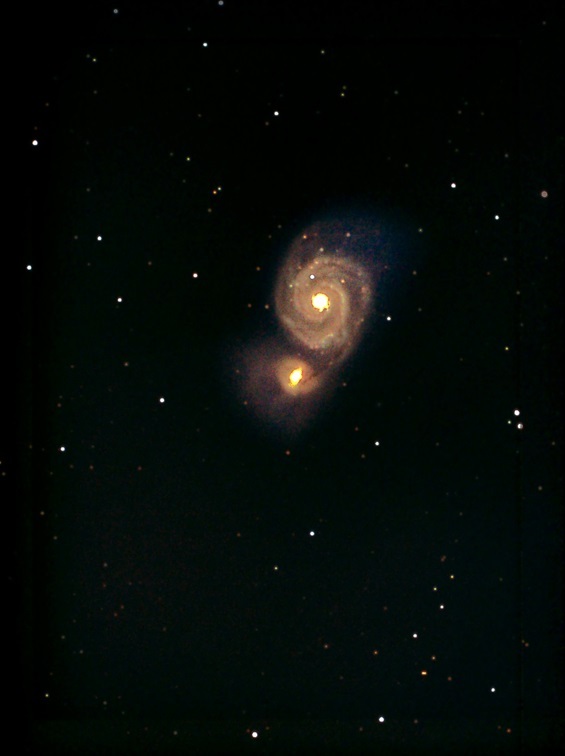 Whirlpool Galaxy M51. 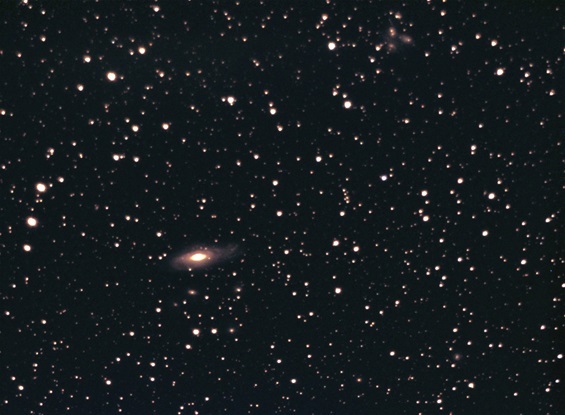 Astro photo composite taken with Celestron C14 using SBIG 2000 xt CCD Camera Astrophoto C14. 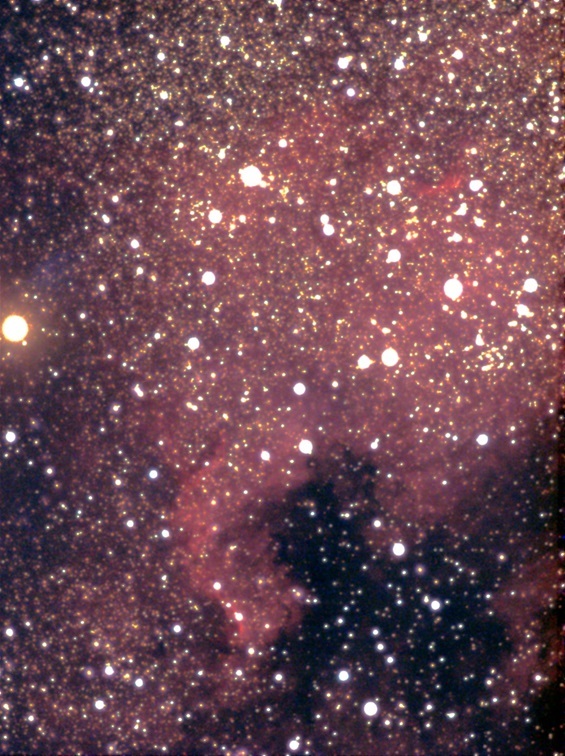 North America, Pelican, Gamma Cygni Crescent and Veil Nebulae in Cygnus taken with a simple Canon 24-105 mm L lens on Embergaer Alm, Carinthia. Even a very modest sword turns into a powerful tool at the right location. Not the sword wins the battle but the heart of the warrior! 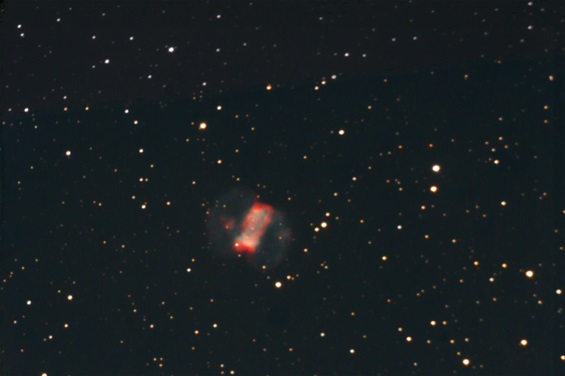 Even a small instrument Travelling with an enthusiast to a pristine site sometimes can beat a big telescope! 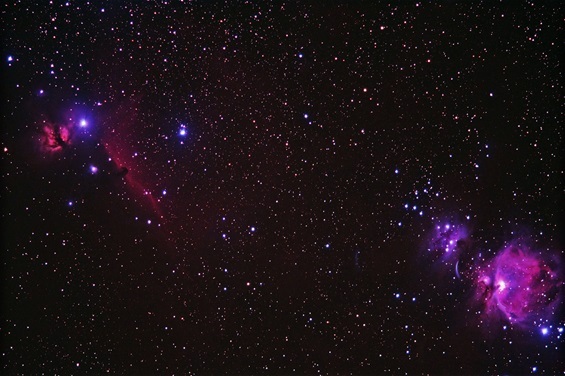 Look at this Astro photo of Orion, Running man and Horsehead nebulae taken with a simple Canon 200mm L tele lens and 1,4 tele converter on Astrotrac mount only, in Borego Desert State Park, California That's Astronudes too, an Art and Science project fueled by Enthusiasts with a heart wide open for experiencing Art and Science, wherever they are and whatever instruments they have available. 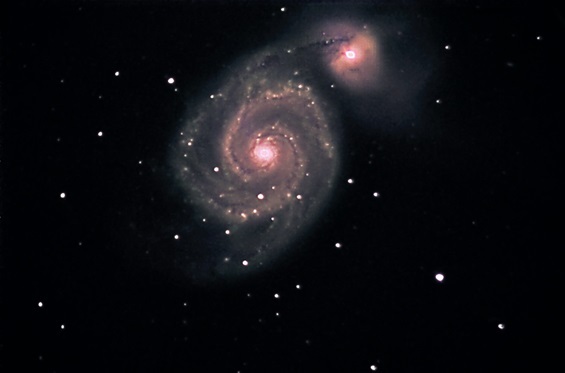 Astro photos taken using a wide variety of telescopes, lenses and mounts are also aimed to show the different results of using a variety of scopes and mounts. 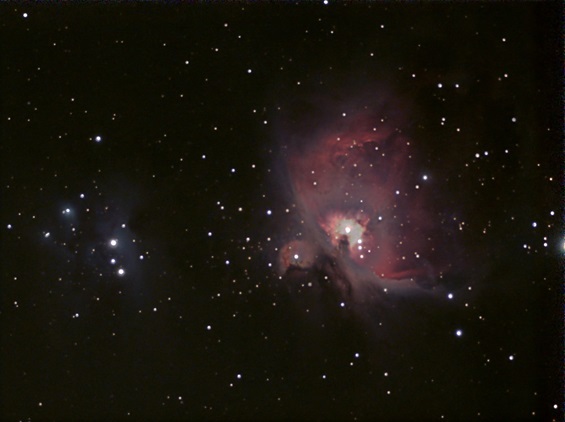 Orion Nebula M42 taken with Celestron C14 and SBIG 2000 xm the big sword. 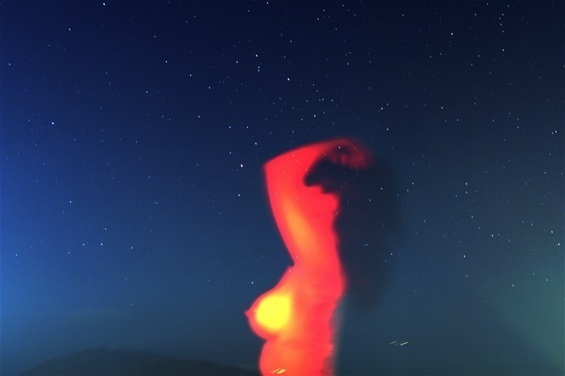 See the blue oxygen and red hydrogen clouds, nature can be so beautiful! 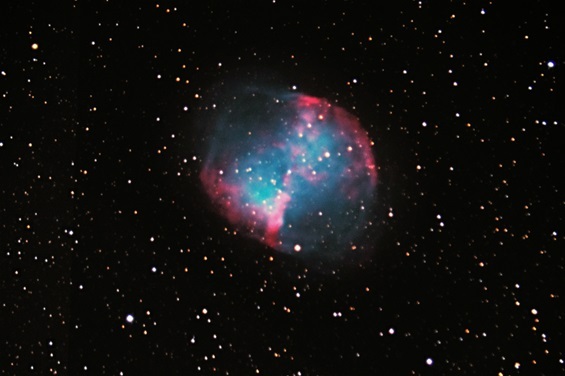 The big brother of the above shown little Dumbbell nebula is the Dumbbell Nebula M 27. 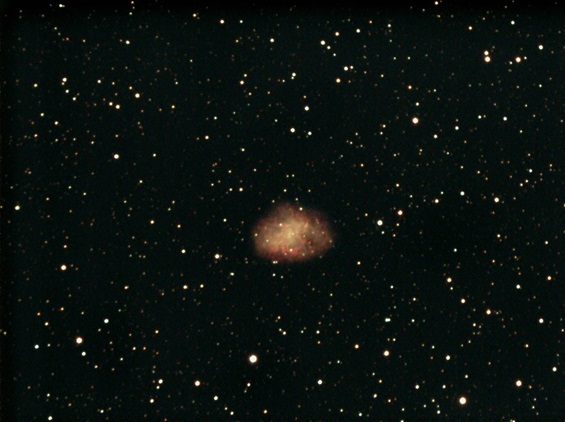 Astro photo composite of exposures made with Celestron C 14 and Meade 10 inch SC. 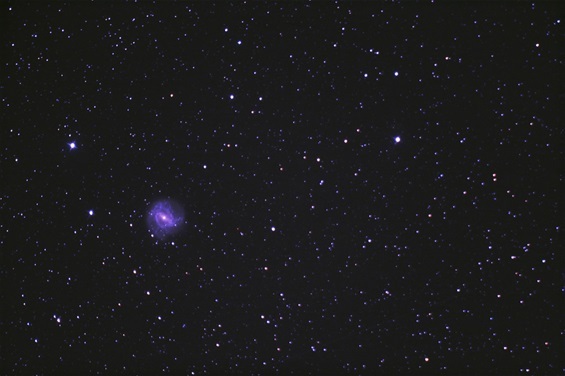 this Website also wants to encourage the idea that appealing Astro photographies can be achieved by using many different kinds of instruments, sometimes a small instrument used at a remote location by an enthusiast delivers better results than the most expensive equipment. 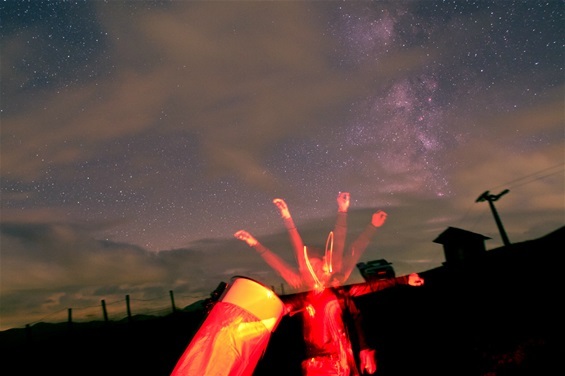 in addition Astronudes shares its own experiences with and offers a platform for Astronomer friendly hotels and locations. 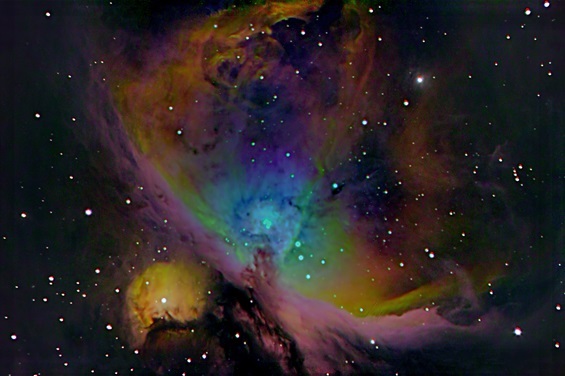 Enjoy Beauty Art and Science. 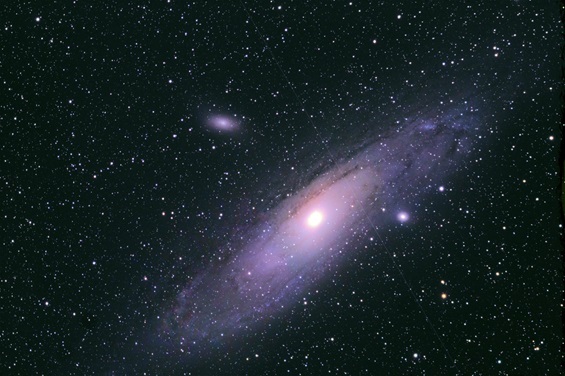 Dr Andrew P., Dr Peter F.
all astro photos are property of Astronudes.at and its domain holder! reproduction is strictly forbidden without prior written consent of Astronudes.at and its domain holder!! domain created in November 2013.
we are happy for comments and ideas. 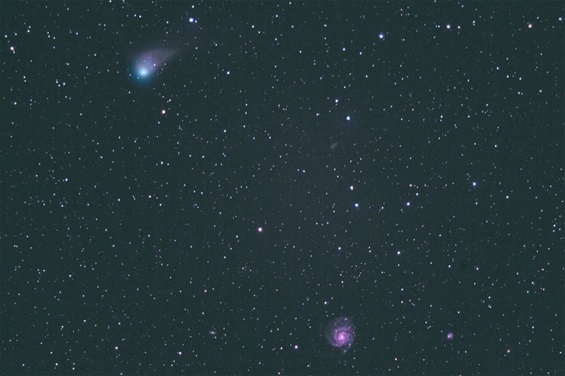 Comet Catalina passing close to galaxy M 101(distance 23 mio LY) taken on January 17th 2016. 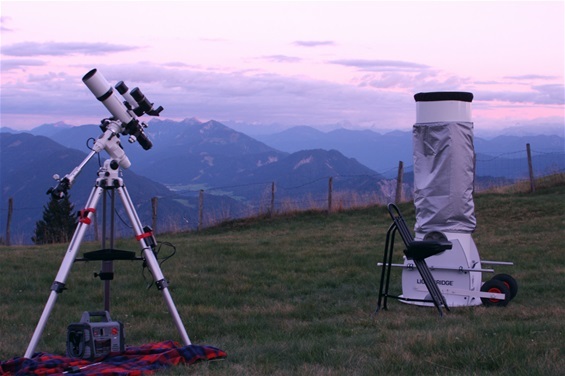 6 inch Newton works on Astrotrac mount !! 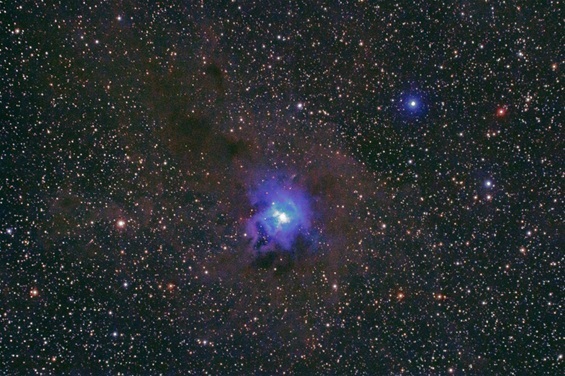 I recently tested a 6 inch f4 Photo Newton on an Astrotrac mount and Manfrotto carbon tripod on the island of Fuerteventura, Spain. 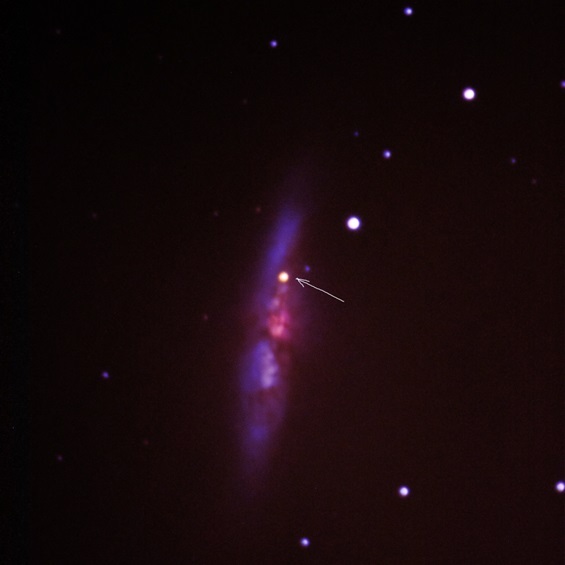 I could do up to 180 seconds exposures which was sufficient for this fast Newton to get great astro photos of Centaurus A gx, M 83 and Omega Centauri(see below). This is an extremely light and powerful travel set up weighting only 8 kg in total. 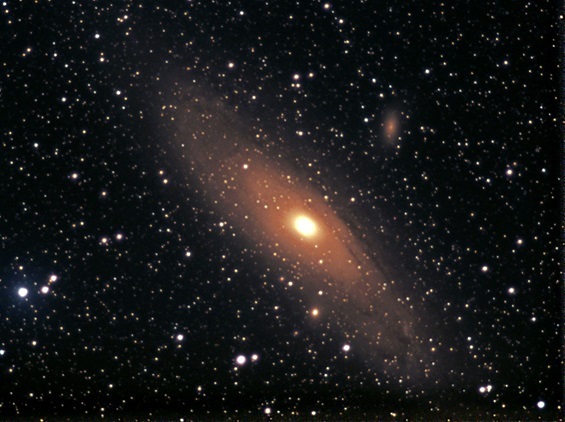 decelerating galaxies versus accelerrating universe The idea of the Steady Big Bang universe SBBU. 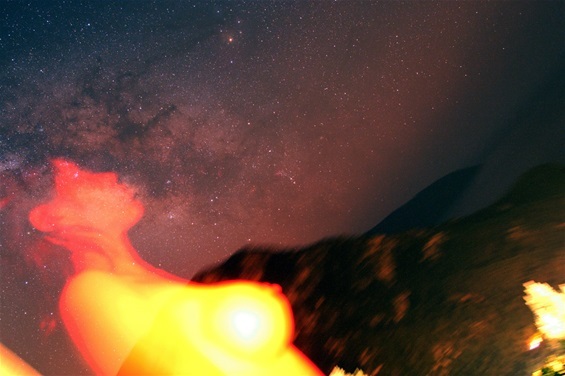 No dark energy and no dark matter required for explanation! 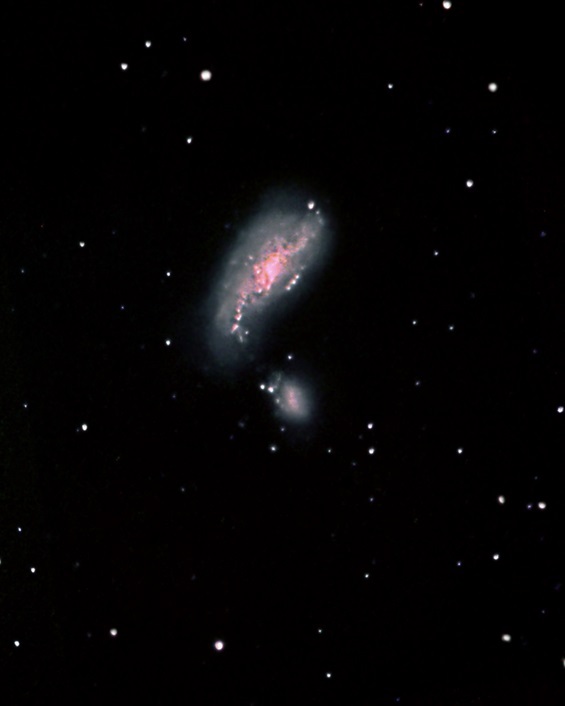 On my last astro photo excursion I met Detlef who has developed in 8 years work a catalogue of deep sky objects interesting for advanced amateur astronomers and Astro photographers based on POSS. The catalogue is called MIPOSSO. 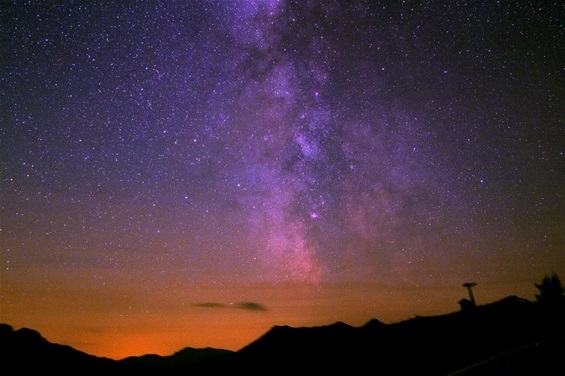 See Astronuders Hotels Austria Emberger Alm for more details. Astronomers using NASAs Kepler space telescope have discovered the first Earth-size planet orbiting the dwarf star Kepler 186 in the habitable zone. 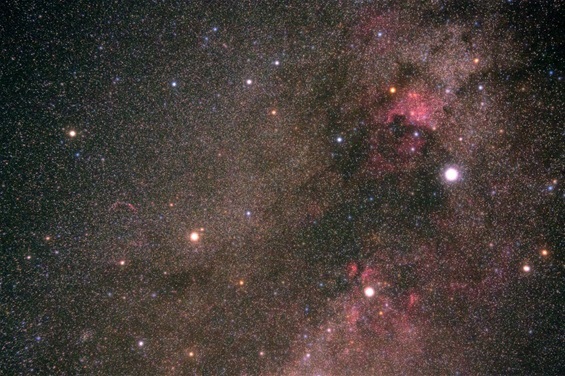 The system Kepler 186 is located in the constellation Cygnus(see astro photo below). 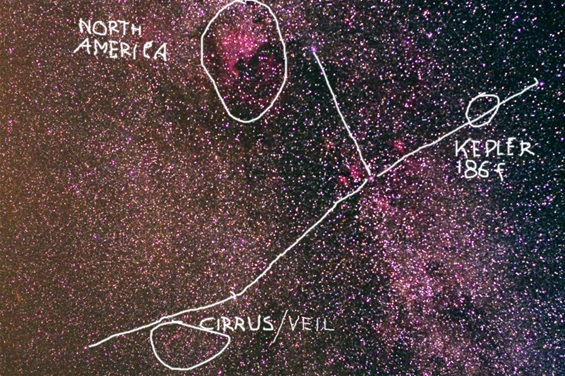 See also section Sky nebulae. 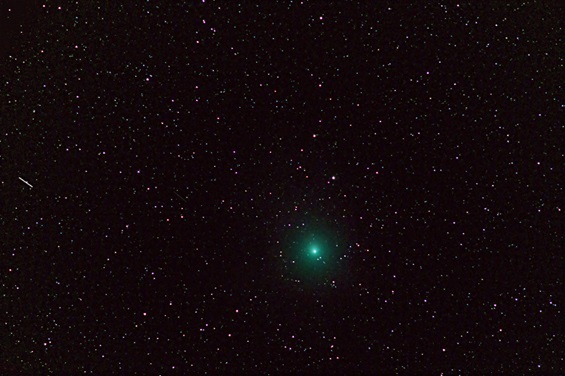 Comet C/2014 Q2 Lovejoy taken with Canon 600d modified and 80/480 Triplet APO, stack of 4 exposures a 90sec 1600ISO. 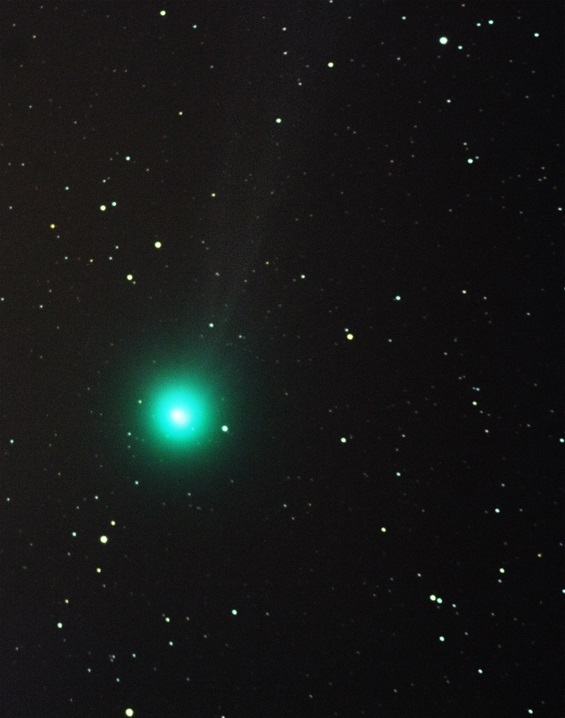 Comet C/2014 Q2 Lovejoy will come back in about 8000 years. 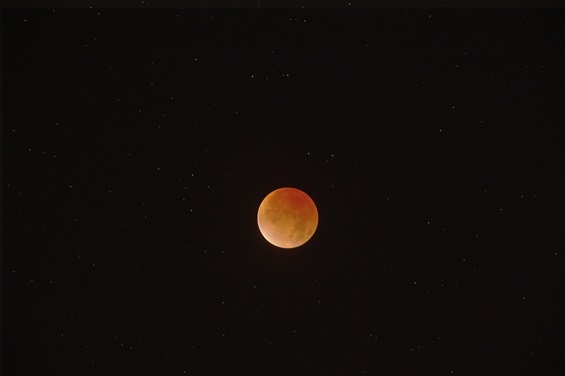 Its closest distance to Earth was about 200 timnes the distance to our Moon. 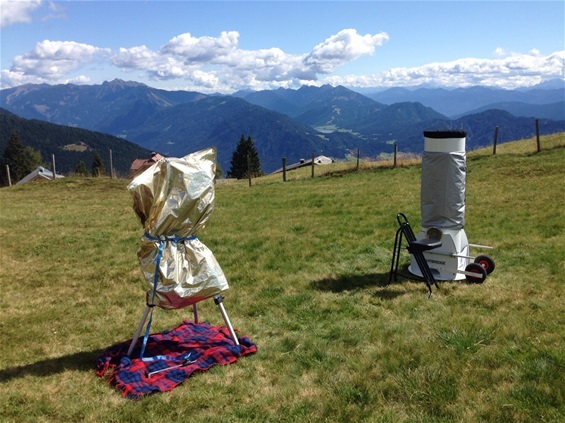 Dr Peter A and Dr Andrew P participate at the International Telescope Meeting a Internationales Teleskoptreffen 2015 at Emberger Alm with a Meade 16 inch Dobson telescope and a 80/480 APO. 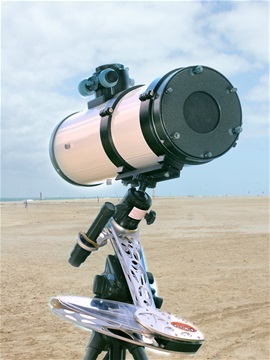 I recently tested a 6 inch f4 Photo Newton on an Astrotrac mount and Manfrotto carbon tripod on the island of Fuerteventura, Spain. 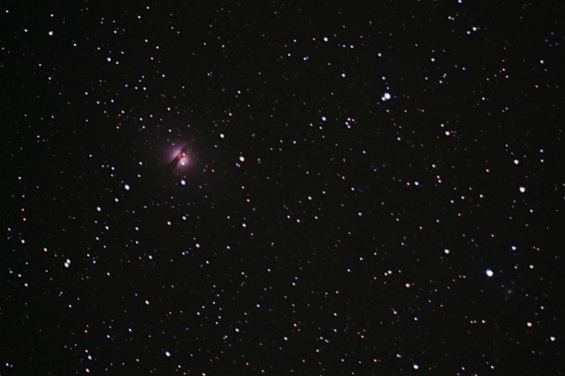 I could do up to 180 seconds exposures which was sufficient for this fast Newton to get great astro photos of M83 gx and Centaurus A gx and gc Omega Centauri(see below). Balance is crucial for this set up. Look how I modified the Astrotrac using a dovetail bar to achieve initial balance. 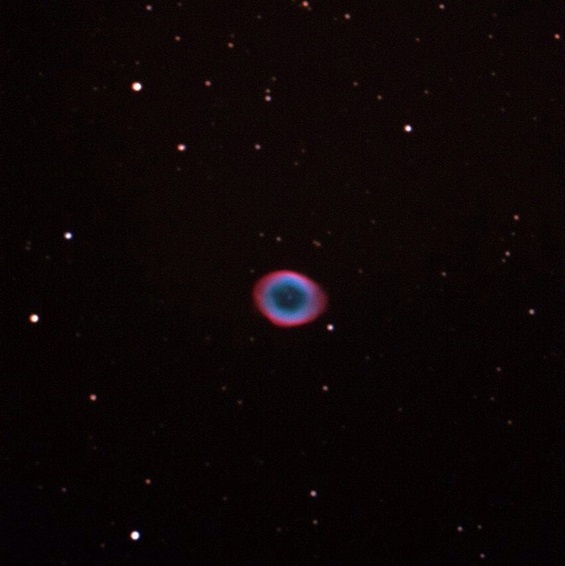 In addition I turned the scope for every photo in such a way that the focuser and camera outbalance the weight of the tube. 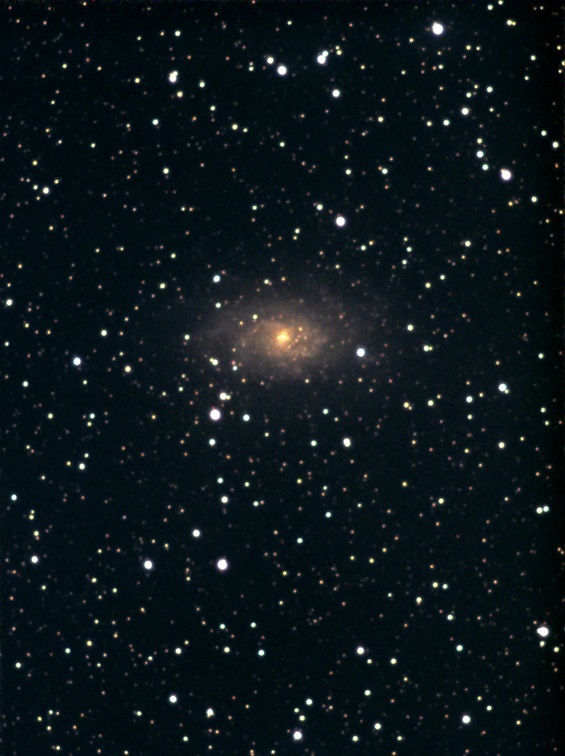 Galaxy Centaurus A taken with 6 inch f4 Photo Newton on an Astrotrac mount and Manfrotto carbon tripod on the island of Fuerteventura, Spain. 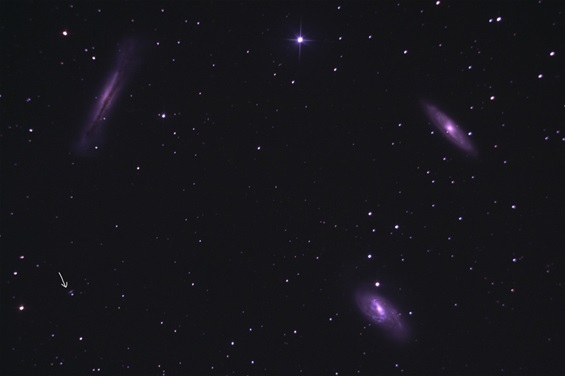 Stack of 7 Canon exposures at 1000-3200 ISO. 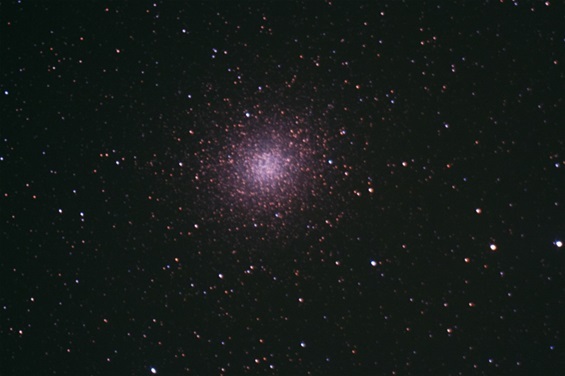 gc Omega Centauri taken with 6 inch f4 Photo Newton on an Astrotrac mount and Manfrotto carbon tripod on the island of Fuerteventura, Spain. 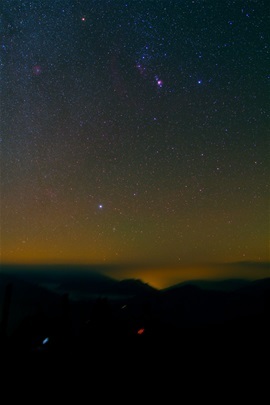 Stack of 7 Canon exposures at 800-3200 ISO. 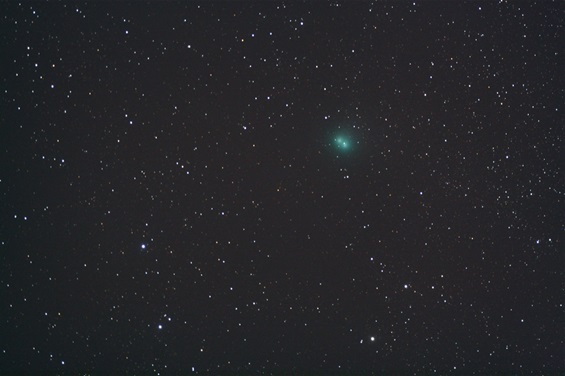 Comet C/2014 E2(Jacques) taken with 80/480 triplet APO close to Vienna on Aug 24th 2014. 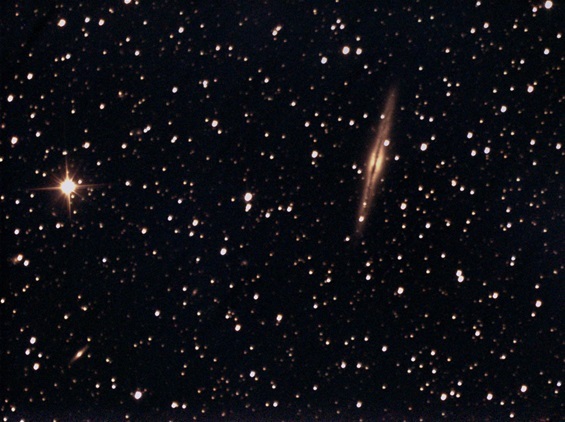 Astronudes participates at the 30. 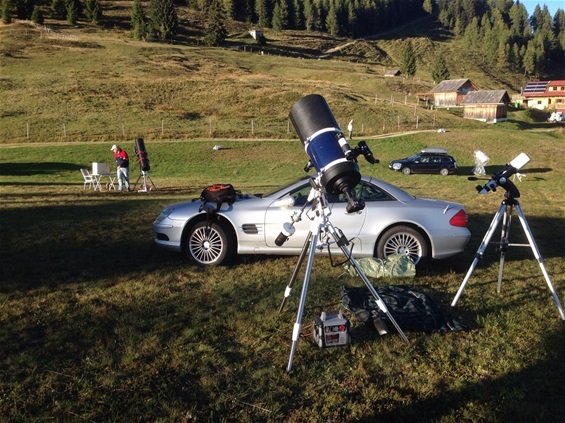 Internationales Teleskoptreffen ITT International Telescope Meeting 2014 at Emberger Alm Cariinthia Austria. 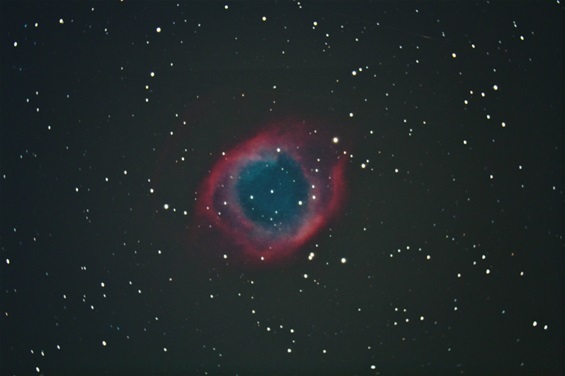 Helix Nebula taken at Emberger Alm Carinthia, Austria during the 30th International Telescope Meeting ITT Internationales Teleskoptreffen 2014 with a Meade 10inch SC anf focal reducer at f6,3. 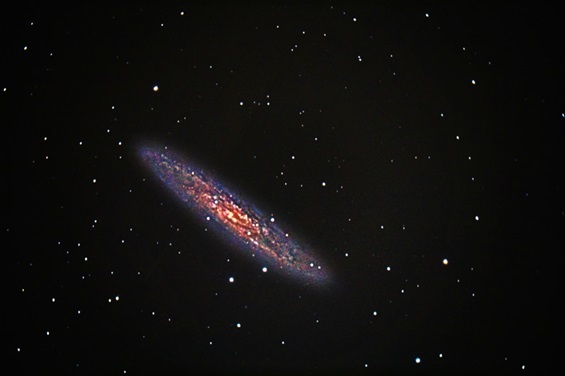 The Sculptor Galaxy or Silver Dollar Galaxy deep over the Souther horizon taken at Emberger Alm Carinthia, Austria during the 30th International Telescope Meeting ITT Internationales Teleskoptreffen 2014 with a Meade 10inch SC anf focal reducer at f6,3.